We are here to support Central Ohio for all Home and Office cleaning needs. 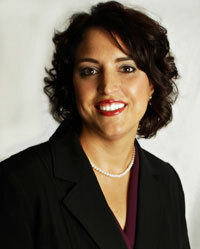 Edge Green Cleaning was founded in 2006 by Suzanne Polsinelli. The business, which is family owned and operated, prides itself on providing high quality cleaning services for reasonable rates. Headquartered in Central OH, they provide residential and commercial services in the Columbus, OH area. The growth of Edge over the past 14 years has led to many opportunities for the company and its owner. Edge was named the official cleaning service for the NBC show "We Decorate Columbus" in 2010 and has affiliations with Mt. 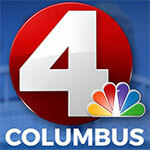 Carmel Health Systems, Cancer Support Community of Central Ohio and Good Day Columbus, to name a few. Edge is also a Columbus Green Spot with the City of Columbus and participates in the Green initiative of the City of Columbus. Edge works with many business owners to ensure that their offices are chemical free and offer a healthy work environment for their staff, clients, and patients. Having a successful company has also opened up the opportunity for Edge to give back to the community. As part of our healthy initiative, our volunteer efforts include classes to cancer patients. Suzanne also offers public speaking engagements and participates in healthy city initiatives. Our company philosophy is pretty simple, “clean green, educate green, and enjoy a healthy environment”.